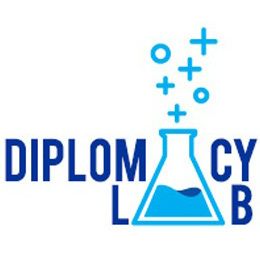 Diplomacy Lab links university research (mainly through class projects) to real-world international diplomacy problems posed by organizations and embassies within the U.S. State Department. As of this fall, IUB has been designated as an official Diplomacy Lab institution, and this spring will be the first semester with full access to Diplomacy Lab projects for their spring semester courses. This round, the State Department has offered over 100 Diplomacy lab project proposals, whose topics cover every continent on Earth (yes, including Antarctica!) and topics ranging from anthropology to informatics, environmental science to "culinary diplomacy". Participating faculty and students are invited to take part in an annual Diplomacy Lab Symposium hosted by the State Department each spring. Additional information about the program, the current list of topics, and information about the bidding process can be found at http://diplomacylab.indiana.edu. Note that the projects can be developed as both formal class projects and one-on-one mentoring projects—and both at the undergraduate and graduate levels. Faculty are invited to consider incorporating Diplomacy Lab projects into existing spring-semester courses. The deadline for bids is November 10.